Did you know that one single letter sent to a politician represents 500 votes? It’s true. Politicians believe that for every person who takes the time to sit down and write a letter, there are 499 others who share the same opinion. The pen is still a very powerful tool! If you’re considering writing to your local political representative or newspaper, but you’re not sure where to start, this page is for you. I’ve put together some general tips and suggestions for both target audiences. In the newspaper subsection, I’ll be listing email addresses for writing to several major newspapers. Before you start writing, be clear on what you hope to accomplish with your letter. Sitting down and writing an angry retort to something you read or heard will probably make you feel better, but it won’t change a lot of opinions. Be clear on the point you are trying to make and keep it in mind as you are writing. Who are you targetting with your letter? 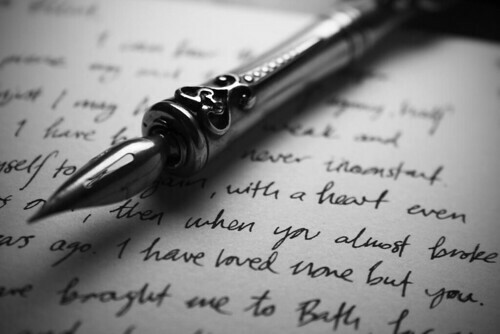 Are you writing to a single politician? Directly to an editor? Or are you hoping to reach a wider newspaper audience? Regardless of your target, be polite. Telling someone they’ve “got it all wrong” will immediately put them on the defensive, and once their guard is up they won’t be interested in anything else you have to say. A better approach would be “There were a couple of errors in yesterday’s article on…”, or “I have concerns about your position on…”. I’m not saying that you need to be an award-winning author, but speeling and grammur are important 🙂 Newspapers receive hundreds of letters each day, so if yours is going to make the cut, it needs to be at least half legible. Similarly with politicians: you want them to be focussed on your message, not on your punctuation. Breaking up the text with paragraphs, where appropriate, is also much easier for the reader. Like anything, it’s all about practice. The more you write, the better you’ll become. Now get writing!